My early background is integral to my performance vocabulary and my investigations into disappearing working class iconographies. The word tied is used to describe the dairy farm cottage in which I was born and raised in rural England. Our home was tied, according to a now-outmoded employment arrangement, to the owner of the land, our habitation contingent on my father's able body. I remain psych-geographically joined to this landscape of domestic and agricultural gestures and rituals, internalised images of butchered animals, milked teats, kitchen tiles, carpet runners, and laid hedges. In my practice, I re-map and re-contextualise embodied geographies and obsolete occupational gestures, combining the personal with historical research and sampled sources to create complex visual choreographies. While steeped in history, I am fueled by an active engagement with technology, social media and ever expanding collaborations with a range of artists and scholars to create contemporary art works that resound with the gestures of labour and commitment of the worker. By extending my solo practice into direction and collaboration I have uncovered a vast terrain of exploration and image making on a large scale for current and future works. My work evolves through context-specific research and practice and always considers the constraints of a given site, venue or occasion. My recent large-scale collaborative projects have multiple manifestations. A given piece is a body of material that may have no singular fixed form but is alternately or simultaneously presented as Internet art, durational live installation or a performance of fixed length. My site-specific considerations now extend into online activity happening within a locale. I am discovering my practice is blooming in this ever-changing studio and exhibition environment with the work adapting itself to the invitations and responses one makes and is given. As I undergo the long process of obtaining my Green Card, my recent work over the past (few years 2008 - 2012) has focused on iconic American landscapes and labor depictions. This investigation has included 1930's New Deal era projects such as the Hoover Dam, the choreographies of Busby Berkeley, the propaganda photos of Arthur Mole and migration narratives of John Steinbeck. I have also been particularly focused on the framework of the Works Progress Theatre project, The Living Newspapers as an antecedent to contemporary social broadcasting forms such as Twitter. I am examining early twentieth century American monuments as engineered interruptions and interventions reminding myself, while now living in an echoic depression era, to continue to hope and to look up and forwards. 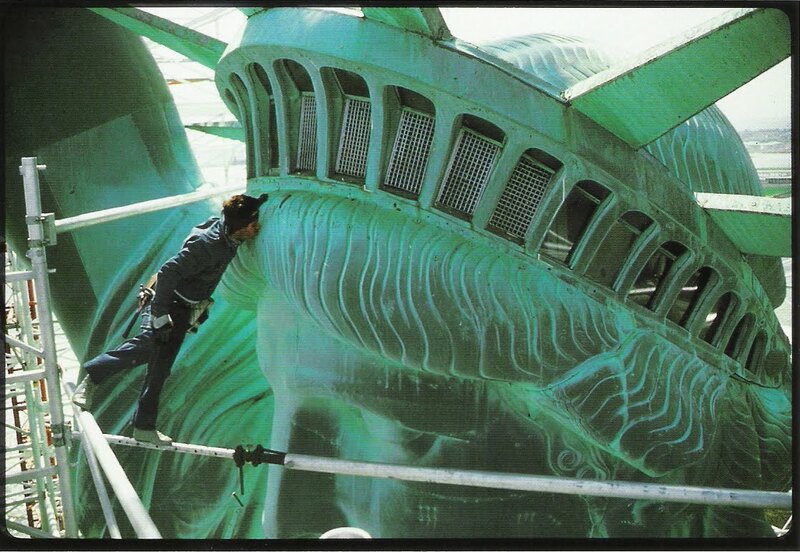 As a UK citizen becoming a resident alien, I want to be the next workman kissing Liberty*. 2012 also marks a new inquiry, with a new multi year, multi modular out put project currently titled Memento Mori. With this new work I have made a decision to form a collective called atom-r (anatomical theaters of mixed reality). It is a provisional collective exploring forensics, anatomy, and 21st century embodiment through performance, language and emerging technologies. atom-r is Mark Jeffery (choreography), Judd Morrissey (systems), Justin Deschamps, Sam Hertz, Christopher Knowlton, Blake Russell, & Bryan Saner (collaborators/performers). Exhibition A: Battle Wounds, the 19th century surgical paintings of physician Charles Bell. Exhibition B: Nutshell Studies: dollhouse miniatures of crime scenes created in the 1930's by one-time Chicago-based heiress Francis Lee Glessner. The miniatures were designed with obsessive intricacy to be used as by law enforcement as early forensic models. Exhibition D: The Stud File: card catalog, apartment wall murals and ephemera of once Chicago-based writer and sexual queer pioneer Samuel Steward, who painstakingly recorded and filed away carefully structured data and forensic evidence (such as the pubic hair of dancer Vaslav Nijinsky) pertaining to a multitude of homosexual encounters involving many of the great writers and artists of the 20th century.